Hi there! It’s Maryanne from The Little Epicurean. Chicken, it’s what’s for dinner most weeknights at my house. 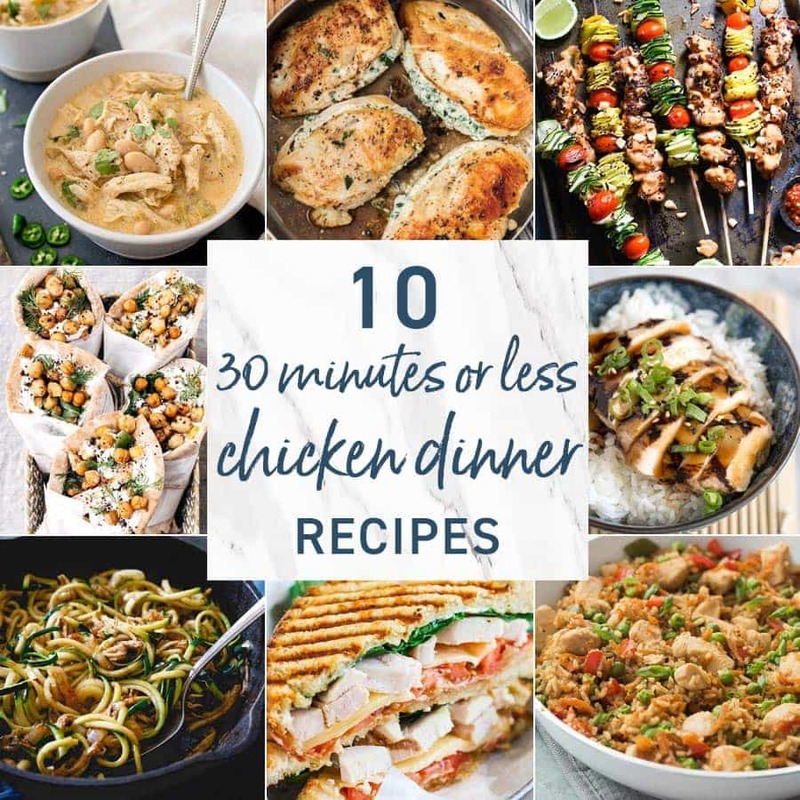 Today we’re sharing 10 quick and easy chicken dinner recipes that take 30 minutes or less to make. Less time cooking and cleaning means more time relaxing and enjoying time with loved ones. 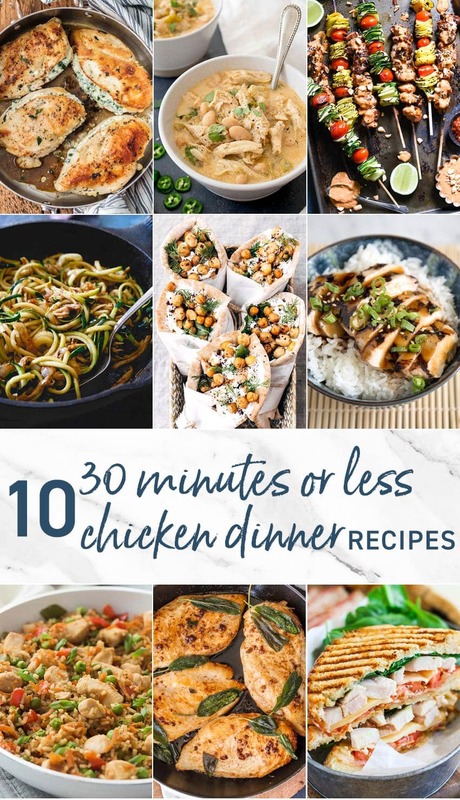 For even more quick chicken dishes, hop on over to these 10 Instant Pot Chicken Dinners. Enjoy! 3-Ingredient Spinach Dip Stuffed Chicken | The Cookie Rookie This cheesy 3-ingredient spinach dip stuffed chicken takes less than 30 minutes to make and it just requires one pan! It’s a quick and easy chicken dinner with minimal clean-up. That’s a win-win! 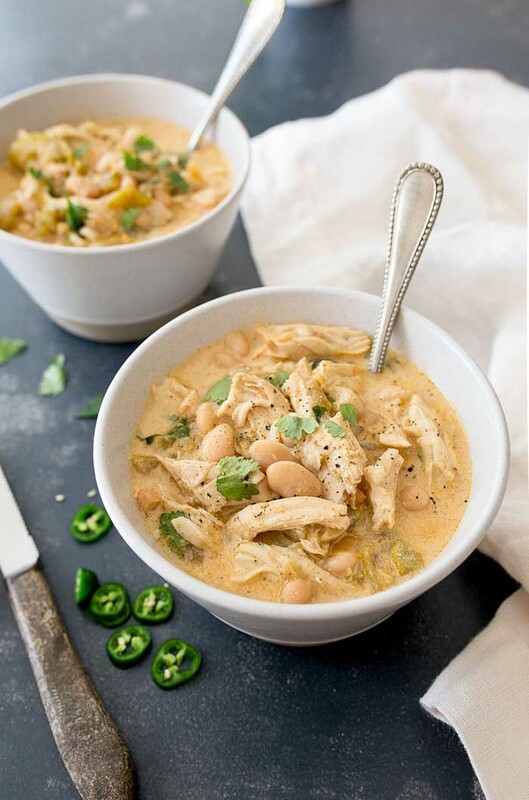 White Chicken Chili for Two | Dessert For Two When you’re craving a bowl of warm chili, but you don’t want to make a large batch- this white chicken chili for two is the perfect solution! 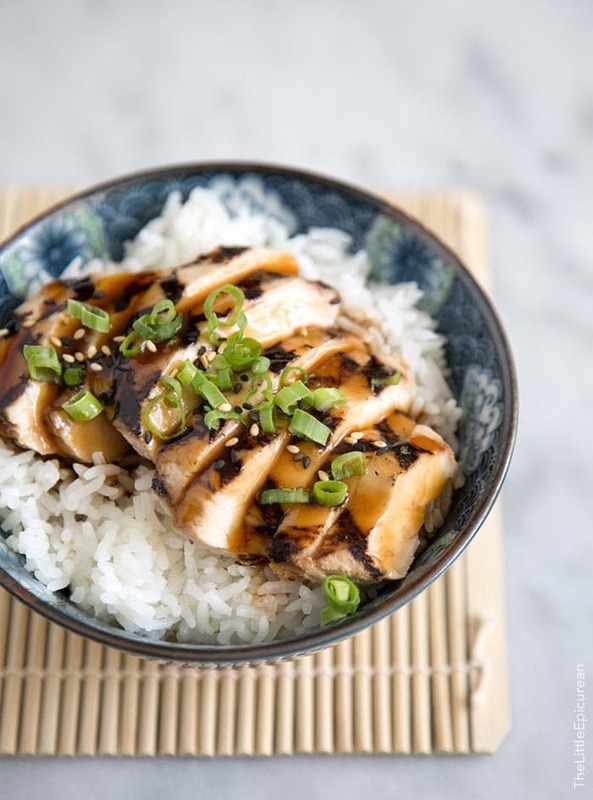 Chicken Teriyaki | The Little Epicurean Teriyaki sauce is a must in your easy weeknight dinner rotation. This quick and easy sauce is perfect for grilled chicken. It’s also fantastic with a variety of proteins and veggies, as well! 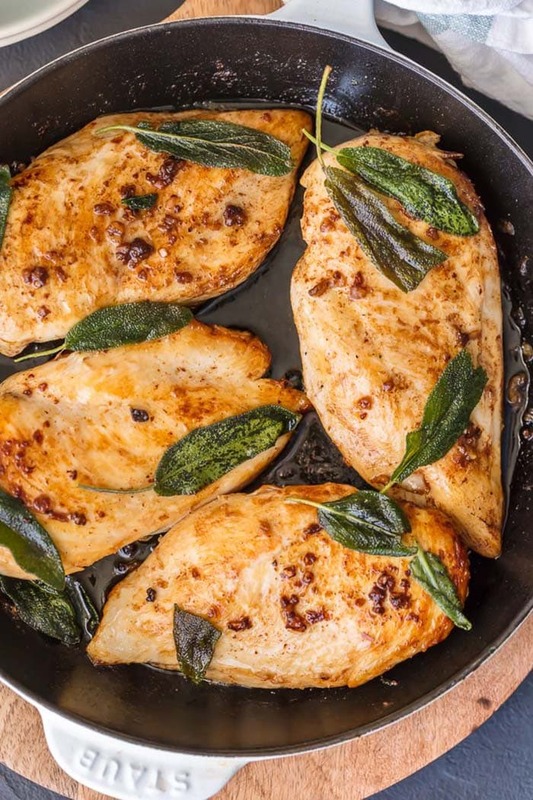 Garlic Brine Chicken with Crispy Sage | The Cookie Rookie What’s the secret to tender and juicy chicken? Garlic brine! 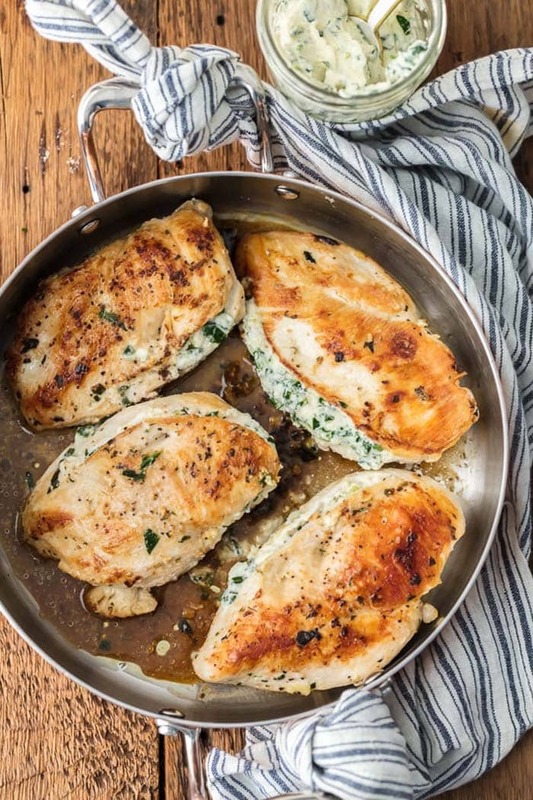 Serve this chicken a variety of ways: with rice, over pasta or mashed potatoes, in a salad, or made into a sandwich! Chicken Chicken Zoodles | Running to the Kitchen Cut back on the carbs by replacing pasta noodles with zucchini zoodles! 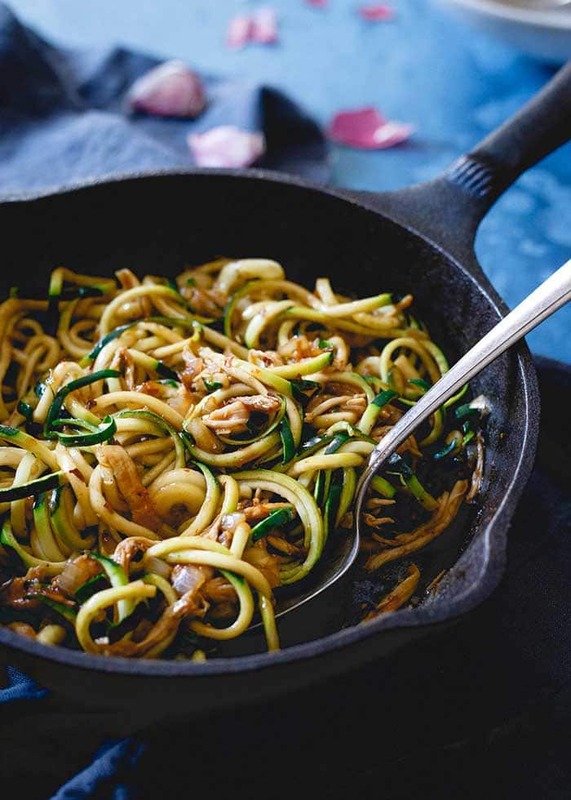 A bowl of this Chinese chicken zoodles is far healthier and just as tasty as any take-out! 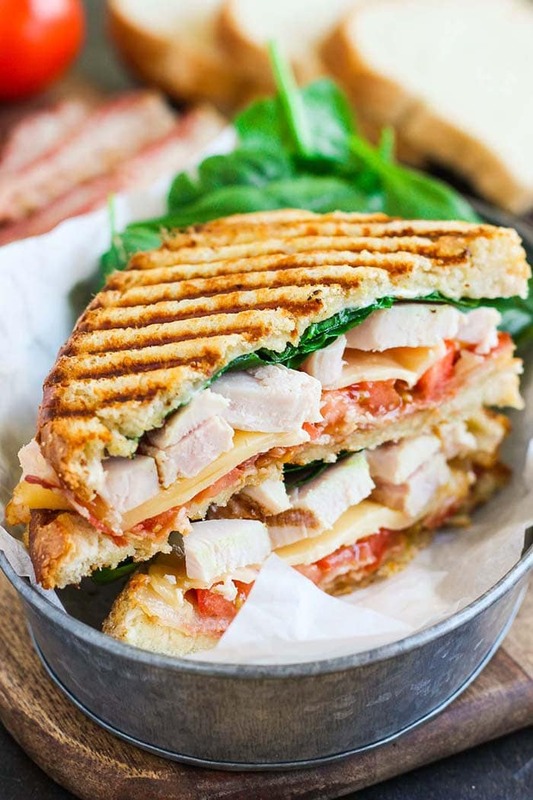 Chicken Bacon Ranch Panini | Pumpkin n’ Spice This hearty panini has it all. There is crunch from the bacon, creaminess from the garlic ranch dressing, a pop of freshness from spinach and tomatoes, and delicious savory notes from the chicken and harvarti. Spicy Peanut Chicken Skewers | Foxes Loves Lemons Did you know that milk is great for tenderizing meats? It’s part of the marinade for these chicken skewers. 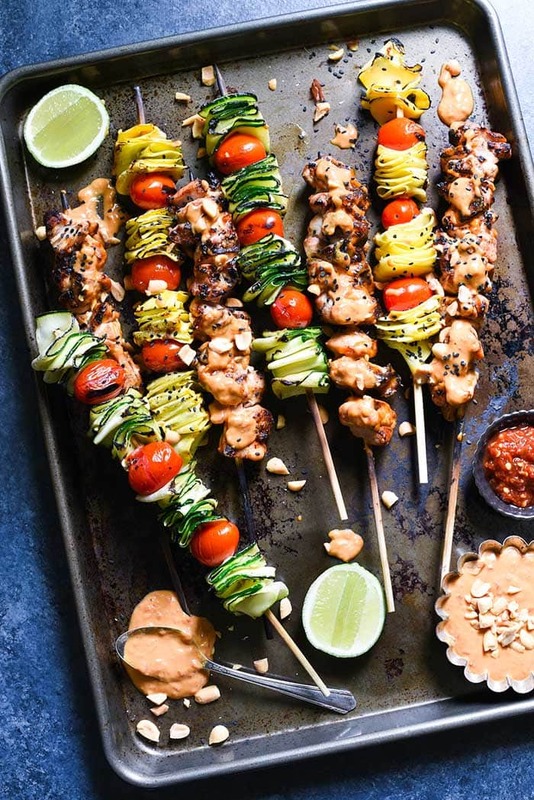 Get your grills ready for these tasty spicy peanut chicken skewers! 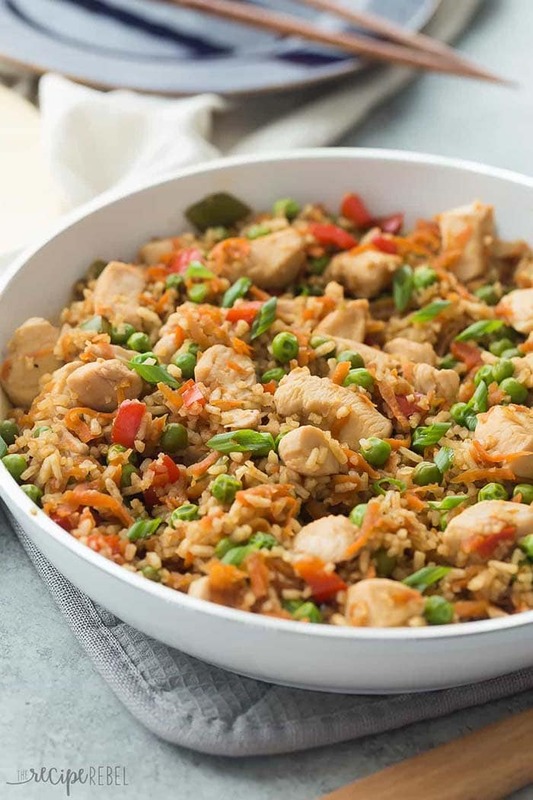 One Pot Teriyaki Chicken, Rice and Vegetables | The Recipe Rebel Have dinner ready in flash with the help of instant rice. This one pot teriyaki chicken rice is a quick and healthy way to feed your loved ones. 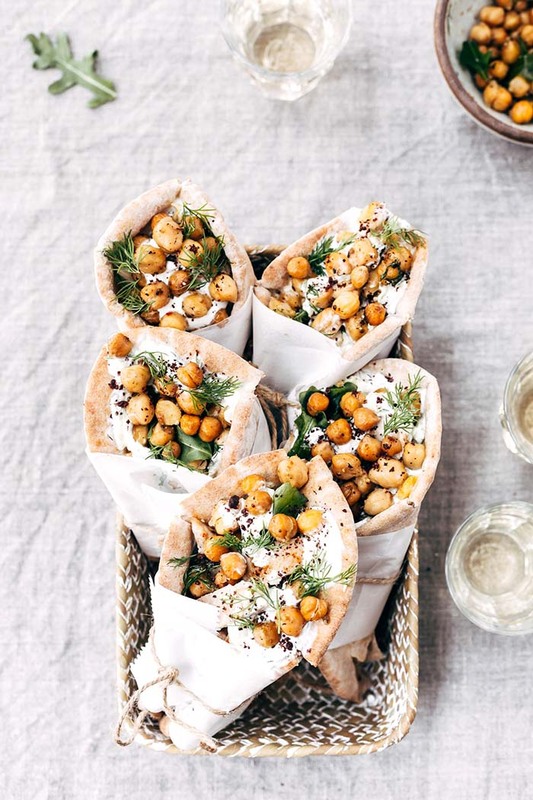 Roasted Chicken Pita Wraps | Foolproof Living This Mediterrean cuisine inspired dish combines roasted chicken, crispy chickpeas, and tzatziki in a warm pita wrap. For an even easier version, use store-bought rotisserie chicken! 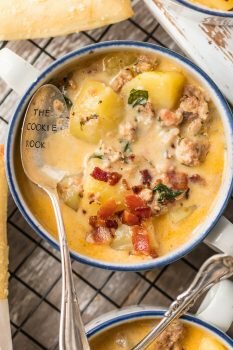 Sweet Potato Chicken Chili | The Lean Green Bean For a super quick dinner, use your pressure cooker! 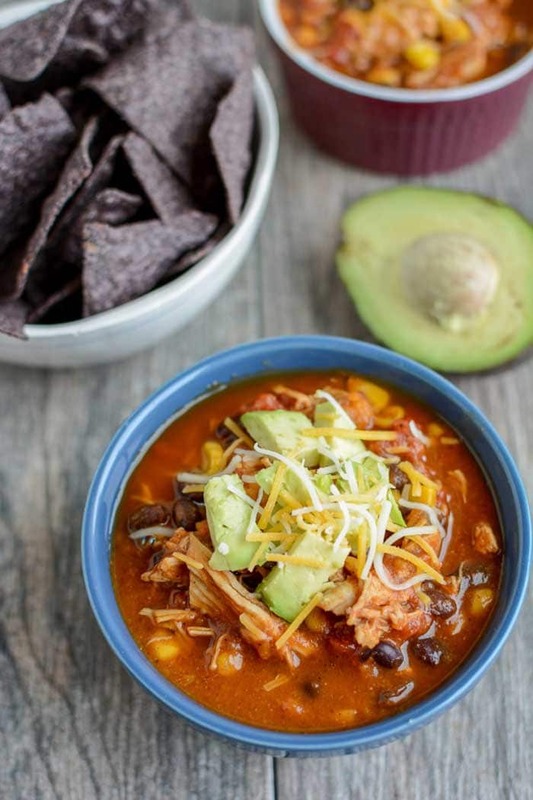 It only takes 12 minutes of cooking time to make this sweet potato chicken chili. 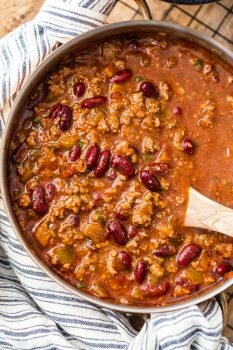 However, if you’re not in a hurry, you could also prepare this chili in a slow cooker.